Category: Books, Self Help & Personal Development Tags: Guidance, self-development, self-help, spiritual Guidance, dreams, self-discovery. Have you ever wished you had a wise old mentor who could tell you where to go next in your career or your life? An “Obi-Wan Kenobi”-type figure who could not only offer specific advice on handling day-to-day decisions, but could guide you to the people and places that would make a difference in your life and career? Let Rizwan Virk, a successful Silicon Valley entrepreneur and investor, show you how to learn to tune into messages that are coming to us all the time from the hidden worlds. These messages, which take the form of synchronicity, hunches, gut feelings, visions, experiences of déjà vu, bodily sensations, and even in our dreams while we are awake or asleep, are like clues in our own personal Treasure Hunt. Where do these “clues” come from? Whether they come from our “inner mentor”, from our “future selves”, or from our spiritual guides, they can help us to uncover our hidden “Treasure Map”, which shows us the work we were meant to do in this life and the path to get there. The author shows how learning to use the Clue Lifecycle can provide concrete guidance in our personal lives, our jobs, our career decisions and our investments. 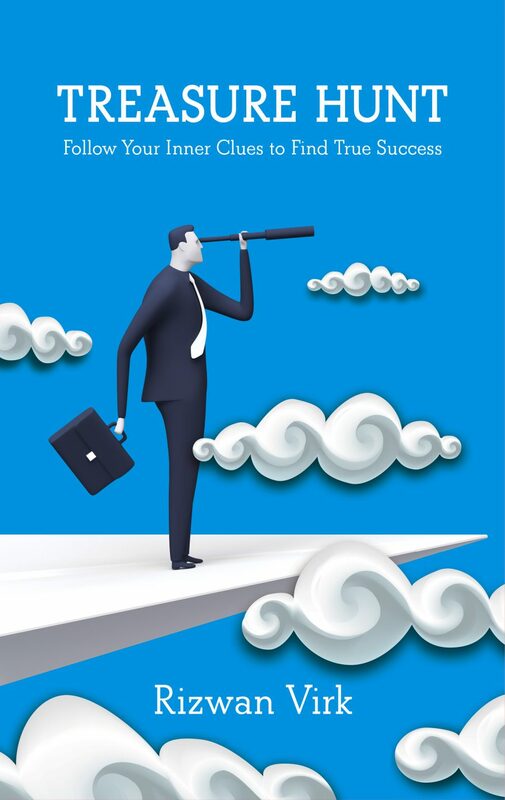 Turn your career into a Treasure Hunt and find true, meaningful success in the business and spiritual worlds.